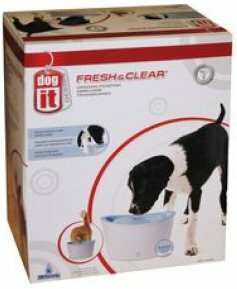 The Dogit Fresh and Clear Dog Drinking Fountain responds to your dog's need for a continuous supply of fresh and clean drinking water. The re-circulating water flow eliminates stale stagnant water to provide fresh-tasting cool filtered water with a multitude of inherent health benefits. 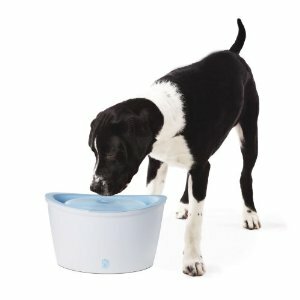 The fountain is elevated to provide a better drinking position for large breeds, older dogs or dogs with arthritis, muscle and joint problems. - Increased water-to-air surface area adds oxygen for fresher tastier water. - Re-circulating flow eliminates stale stagnant water. - Suitable for multiple pets. The water filter should be changed regularly. Spare filters available.